If you have a mk1 GoKart, and you’d like to change to the new model, we’ll give you £75 for it. 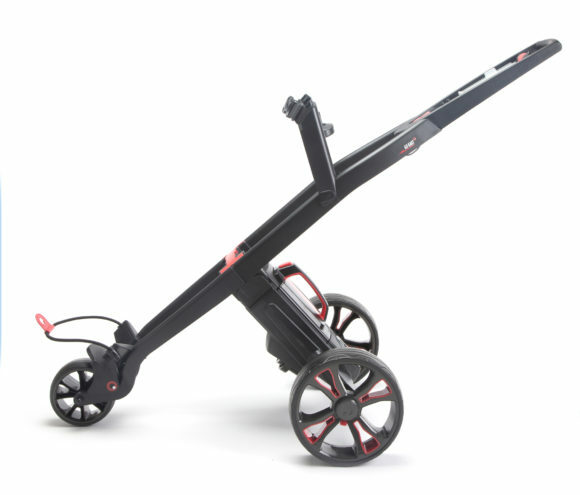 It doesn’t matter what condition your trolley is in, we’ll collect the old one and give you £75 off the new model. Your trolley only needs to be complete; sorry you can’t just send us a wheel back. It doesn’t matter if it’s a runner or not though. We’d rather take the battery and charger too if you don’t need them, but if it’s just the trolley that’s fine. To take us up on this, buy a new GoKart, either on line, or by phone. Tell us you want to trade in your old trolley, and we’ll collect it. When it arrives back at our factory, we’ll refund you £75. 1. If you have a box, or you can make one Blue Peter style, get your trolley packed in advance. When we deliver the new one, we’ll collect the old one. 2. If you don’t have a box, you can re-use the packaging from the new trolley. Our driver can wait while you take out the new trolley, and replace it with your old one. 3. Third option, just take delivery of the new trolley. At your leisure pack up the old GoKart using the new trolley packaging if you want. Then give us a shout when it’s readly to collect. 4. Final option, if you life near Canterbury, or fancy a drive out, pay us a visit.